His Holiness Subhag Swami was born in Kolkata, Srila Prabhupada’s home town. He spent most of his early life in Kolkata and completed his college from Calcutta Scottish Church College where in 1916 Srila Prabhupada had studied English, Sanskrit, Economics and Philosophy. In 1965 Srila Prabhupada left for USA and His Holiness left India to study in London. While studying there His Holiness was introduced to Krishna Consciousness and soon joined Radha Londonisvara temple in it's early days. From the first meeting with Srila A.C. Bhaktivedanta Swami Prabhupada, His Holiness was engaged in Srila Prabhupada’s personal service (cooking, serving prasad, correspondence, etc.) and also in different other services in ISKCON. Specifically, under the direct instruction from Srila Prabhupada, His Holiness translated different scriptures from Sanskrit and Bengali to English and also Srila Prabhupada's books from English to Bengali. Some of the books include "Chaitanya Mangal", "Anand Vrindavan Campu", "Advaita Prakash" and others. His Holiness has been based in Sridham Mayapur for last 40 years out of his 46 years in ISKCON. 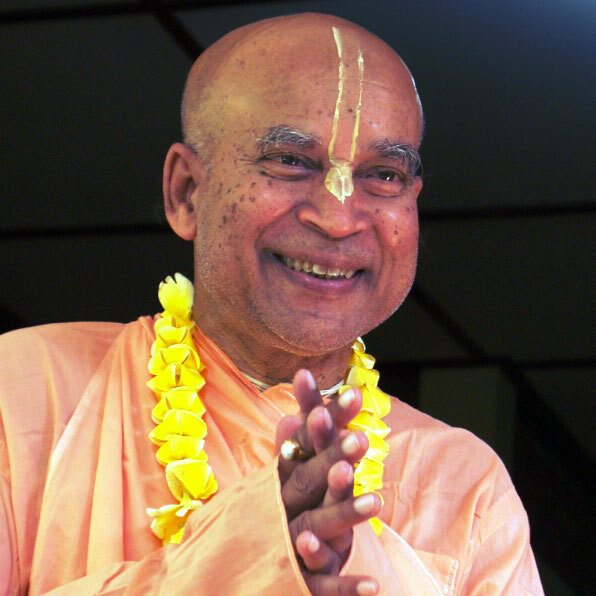 He is one of the present gurus and a prominent senior leader of ISKCON. At the age of 76, Maharaj is currently traveling to 50 cities around the world to inspire devotees on the occasion of ISKCON's 50th Anniversary.